I have spent the last 5 years constantly trying to find the cheapest flights around. 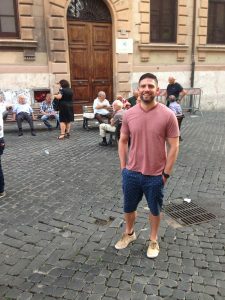 In this time I have been fortunate to come across deals like $199 to Rome, $229 to Copenhagen, $39 to NYC etc.. What had started as a hobby and service for my friends & family has quickly turned into a full time job for my subscribers. 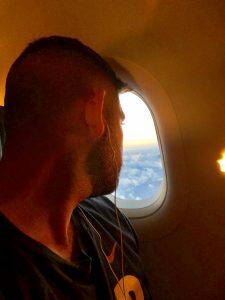 Below are some of my favorite hacks that I have learned over the last few years of this wild journey of traveling the world on a tight budget. Flexibility is key: I always recommend to search for the cheapest flights you can find on Google Flights and then plan your trip accordingly. Believe me, I understand not everyone can leave on a Tuesday and come back the following Wednesday because of life’s many responsibilities but this suggestion also works for weekend trips. Instead of quickly taking off the 2nd weekend of the month, look on Google Flights and see which weekend would be the cheapest. Flexibility could also mean WHERE you are traveling to. Some of my cheapest trips ever were to Europe, where I would fly into London for $229 and then take a $35 flight to Barcelona or Prague. Once you are abroad, the domestic flights tend to be extremely cheap. Learn the Airline Hubs: So many people when looking for cheap flights never look into information regarding their home airport. This could be huge in finding cheap flights. For example, my departing airport 9/10 times is Ft. Lauderdale International. FLL is a regional hub for airlines such as JetBlue, Southwest, Spirit and Norwegian. By being equipped with this information, I can look up other cities these airlines are a hub at and find flights on JetBlue to Boston for $69 or Norwegian to Oslo, Norway for $265. Know your Budget Airlines: It is very possible that you are not aware of all of the budget airlines at your disposal in your area. If you use 3rd party booking websites such as Expedia, Priceline, Orbitz etc.. you will never get the prices from many of these airlines. Does Allegiant Air, Sun County or WestJet ring a bell? If not, they should. Some of the cheapest airfares out are from these airlines. In Europe there are over 20 of them that offer extremely competitive prices and fantastic customer service. How Far Out Should I Book My Flight? This is a very common question that I get from my subscribers. My general rule is to book your flight 2-3 months in advance for domestic flights and 3-6 months out for international flights. For some odd reason, people tend to believe they can get last minute deals or great prices on stand-by. This is not the case anymore. The closer you get to the date of departure, the more expensive the flight will be. How long do cheap fares tend to last? Where Should I Do My Searching? Google Flights. Listen, there are 100 different websites you can look for cheap flights on. Kayak, CheapOair, Expedia etc.. I always find myself going back to Google Flights to check and see if there is an even cheaper price. Play around if you must but Google Flights is my go to! Why Should I Subscribe To Matt’s Flights? Easy. All of the above are done for you… for FREE. My job is to look for flights in advance, understand the airline hubs, become familiar with the budget airlines. I do all of this so you don’t have to. Matt’s Flights will not only save you money but most importantly it will save you time. If you travel frequently, I would suggest the Premium subscription because I send out 3x as many deals to those subscribers.